As health care reform continues to evolve the long term care industry, senior living providers need a trusted therapy partner to help them navigate change and anticipate needs. 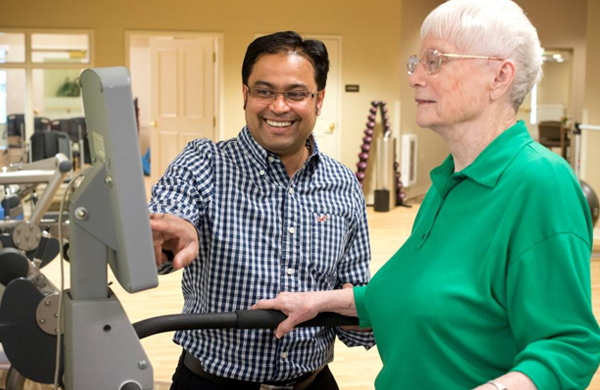 Rehabilitation in senior care is our specialty. We serve CCRC’s, life plan communities, skilled nursing communities and long term care facilities by providing full program oversight, management and the delivery of physical, occupational and speech therapy services. We have long standing relationships with our clients because of our commitment to each community and resident we serve. As a true partner in therapy, we deliver expertise and resources to help our clients build powerful rehabilitation programs while increasing their census, optimizing their revenue and providing exceptional therapy oversight and the highest outcomes exceeding national benchmarks. We deliver on our promises, which is why our clients have been with us for an average of 12 years. We know and understand that whether you are for profit or non-profit, faith based or county owned, every client is an individual, just as every patient is an individual. With this in mind, solutions are tailored to a clients’ unique needs while utilizing our knowledge for best practices, better patient experiences and overall stronger positioning for the future of your community. HTS has dedicated experts that keep you well informed and ahead of changes effecting our industry. Our Regional Directors provide daily oversight to a small number of buildings to provide our clients and onsite therapists with ultimate support. We utilize current practice standards and evolve clinical programs to achieve the maximum potential for even the most clinically complex patients. Third Party auditing and monitoring helps to create systems for quality improvement as well as manage and reduce the medical review risk for our clients. Add members to your marketing team with comprehensive marketing support, analytics and census building solutions that improve your competitive advantage. We access over 150 reports, outcomes, analytics and care transition processes for our clients and hospital systems moving towards Alternative Payment Models. We are well positioned to assist in any area of VBR.